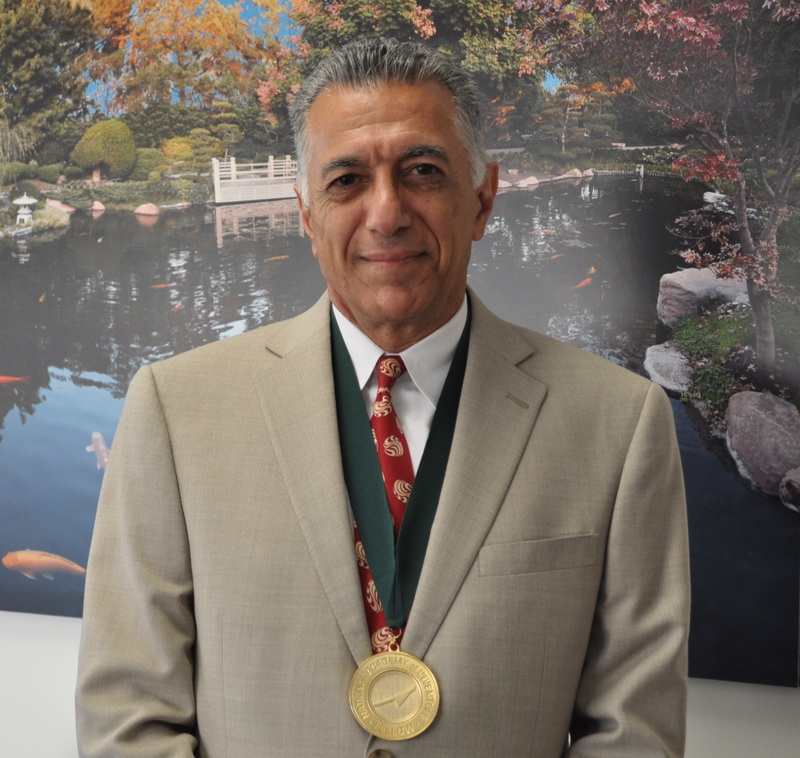 CSULB College of Engineering Dean Forouzan Golshani, holder of nearly a dozen patents, was among the nearly 100 innovators inducted as National Academy of Inventors Fellows at the John F. Kennedy Library in Boston this month. This year’s Fellows are named inventors on 5,437 issued U.S. patents. Included among NAI’s 757 Fellows—who together hold over 26,000 patents—are more than 94 presidents and senior leaders of research universities and institutes; 382 members of the National Academy of Sciences; 31 inductees of the National Inventors Hall of Fame; 45 recipients of the U.S. National Medal of Technology and Innovation and U.S. National Medal of Science; 28 Nobel Laureates, 216 AAAS Fellows; 126 IEEE Fellows; and 116 Fellows of the American Academy of Arts & Sciences, among other awards and distinctions. Before being named CSULB College of Engineering Dean in 2007, he served as NCR Distinguished Professor and Chairman of the Computer Science and Engineering Department at Wright University in Ohio. He was also Center Director and Professor at Arizona State University, and Research Fellow at Imperial College in London. An IEEE Fellow and author of more than 200 articles, Golshani is founder of several successful startups, including Corporate Enhancement Group, Roz Software Systems, and RFID Integrated Solutions. He has worked as a technical consultant for Boeing, Bull Worldwide Systems, Honeywell, Intel, McDonnell Douglas Helicopter, and Motorola. 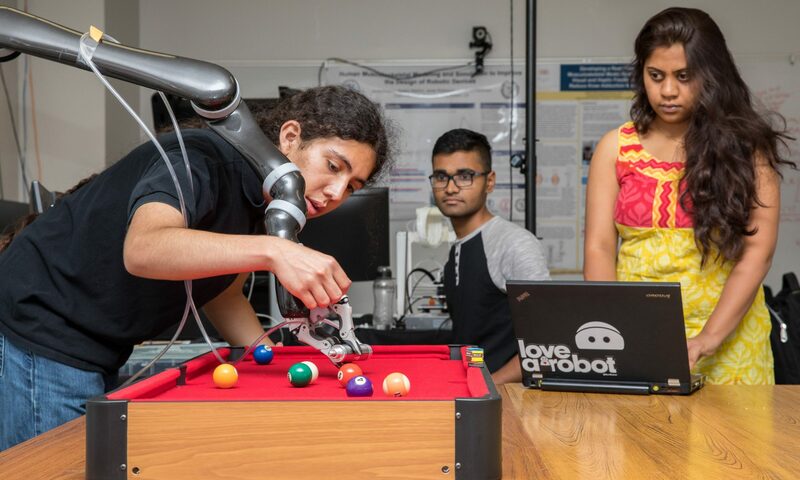 CSULB recently launched a university NAI chapter. Its first meeting drew nearly two dozen inventors. Golshani was elected the chapter president. The 2016 Fellows were evaluated by a 19-member selection committee comprising NAI Fellows, recipients of U.S. National Medals, National Inventors Hall of Fame inductees, members of the National Academies and senior officials from the USPTO, National Institute of Standards and Technology, Association of American Universities, American Association for the Advancement of Science, Association of Public and Land-grant Universities, Association of University Technology Managers, and other prominent organizations.